Every year, Software Advice talks with thousands of mental health professionals looking for the right software solution for their practice. This provides us with unparalleled insight into the needs of mental health software buyers. 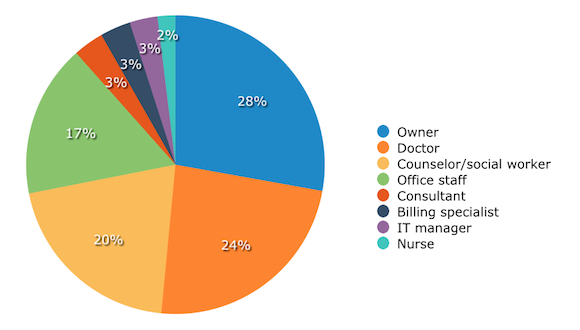 We recently analyzed a random selection of 385 of these interactions to uncover mental health software buyer trends, including providers’ most common pain points and their reasons for purchasing new software. Over half of prospective buyers were already using some form of software. Almost all buyers with a preference (92 percent) were seeking a cloud-based system. 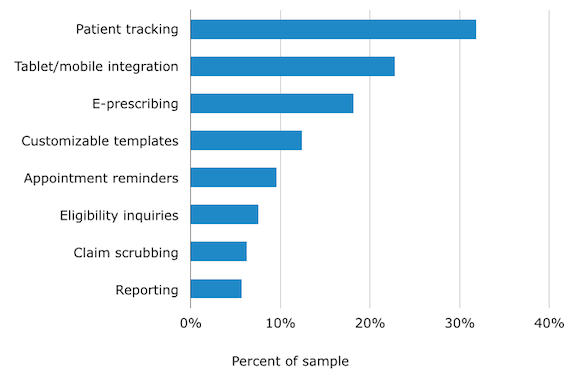 Patient scheduling and tracking were the top-requested capabilities of software. Slightly more than half (51 percent) of prospective buyers were looking to replace or add applications onto an existing software system. Some respondents noted that they were replacing generic medical software systems in favor of a program that was tailored for mental health. 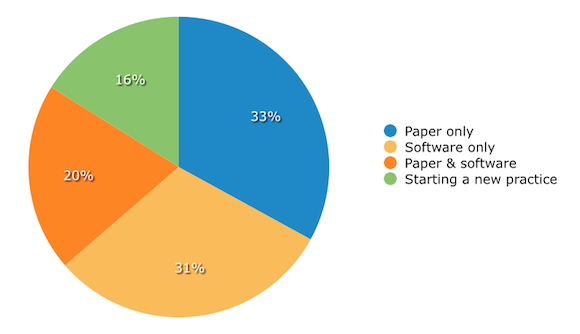 Just 33 percent of respondents were currently using paper methods only, implying that many mental health professionals have already begun to switch to digital solutions. This is likely a result of the HITECH Act, enacted under the American Recovery and Reinvestment Act of 2009, which incentives healthcare providers to transition from traditional paper-based systems to electronic medical records (EMR). The vast majority of buyers were interested in integrated suites, meaning systems that incorporate multiple applications in one software package. 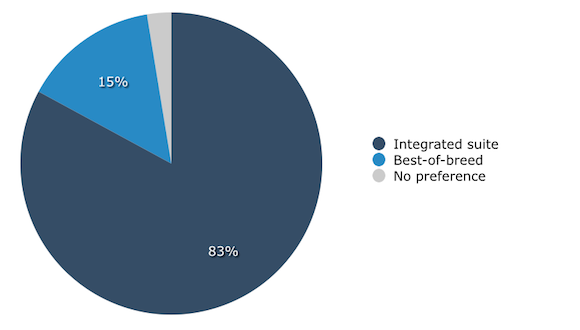 Eighty-three percent of respondents expressed a desire to purchase one integrated system instead of one or more stand-alone, or “best-of-breed,” applications. Just 15 percent of buyers requested a best-of-breed solution, while 3 percent stated that they had no preference. Healthcare CIOs have indicated that the shift away from best-of-breed software is a natural development in a healthcare market where care coordination is essential. Care coordination is also encouraged under the Affordable Care Act, which provides financial incentives for practices involved in Affordable Care Organizations. These groups of doctors, hospitals and (occasionally) insurance companies band together to provide care and share costs and often technology, making integrated suites almost a necessity. If most buyers are seeking integrated solutions, which specific applications do they most need their software to include? Eighty-three percent of the mental health software buyers we spoke with were interested in patient scheduling applications, which can manage appointments times, plan practitioner schedules and help prevent missed appointments by sending out reminders via text or email. According to the American Academy of Professional Coders (AAPC), an organization that offers healthcare-related business training, mental health professionals experience a no-show rate of up to 50 percent. This is more than quadruple the rate of other medical specialties, which makes the features of patient scheduling applications especially useful for the mental health field. EMRs were the second-most requested application, with 81 percent of prospective buyers interested in exploring them. 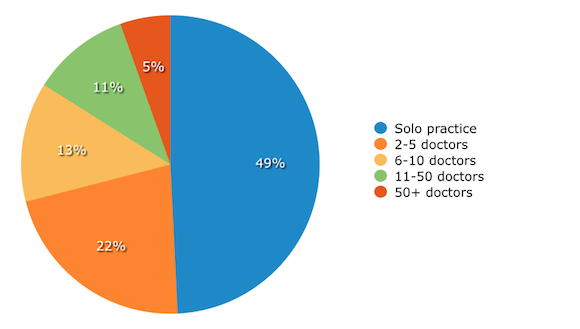 This near-tie between scheduling and EMR echoes our findings for other healthcare specialties, such as physical therapy, where scheduling was requested by 82 percent of buyers and EMR by 81 percent. Finally, medical billing was mentioned by 75 percent of buyers. Some specifically pointed out that they were looking to bring their billing back in-house or use a medical billing program to bill more effectively than paper methods allowed for. Amongst our sample, 31 percent of buyers were looking for software that would efficiently track patient assessments and treatment plans. Another 22 percent noted that they were interested in software that could be integrated with tablet and/or mobile devices. Buyers’ interest in e-prescribing is likely another result of the HITECH Act. In order to achieve “meaningful use” and receive financial incentives, practices must transmit 40 percent of prescriptions through a certified EMR system. The preference for tablet and mobile integration indicates that charting on-the-go is a key point of interest, particularly for mental health practices where employees are frequently out of the office or seeing patients at home. One prospective buyer noted that the company’s employees were “constantly in the field” and wanted to provide them with a way to complete notes off-site. Additionally, customizable templates—pre-filled forms and information sheets that providers can tailor to specific patients, conditions and procedures—were requested by 12 percent of respondents. Buyers with existing software systems often complained that wrestling with antiquated, inflexible templates was a poor use of their time, and were seeking more efficient solutions. “Going paperless” or reducing paperwork, which was part of the decision-making process for 26 percent of buyers, indicates that mental health practitioners are interested in the ways that software can save them time, reduce clutter and allow for easier information-sharing. E-prescribing and customizable templates are two examples of features that practices can use to reduce their dependence on paper and save time filling out forms. 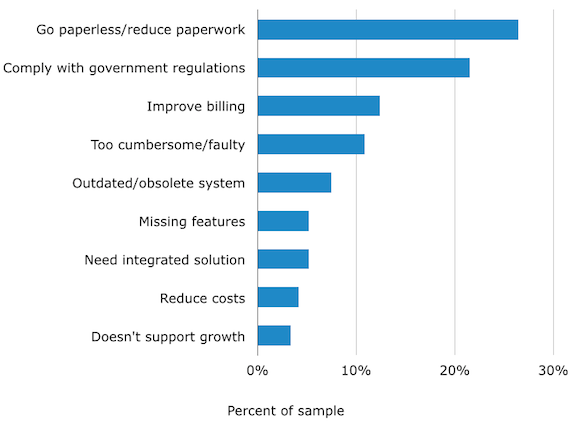 An additional 21 percent of respondents noted that complying with government regulations was a compelling reason to seek out new or replacement software. ONC-ATCB was the most frequently cited regulation, with some respondents noting that they needed to comply with Medicaid/Medicare or state-specific funding requirements. New federal regulations, such as changes to the Physician Fee Schedule slated for 2015 that include reimbursement for telehealth services, may also be affecting buyers’ purchasing decisions. TAn overwhelming majority (92 percent) of buyers expressed a preference for cloud-based software, in which software is hosted on off-site servers owned and operated by the software vendor. 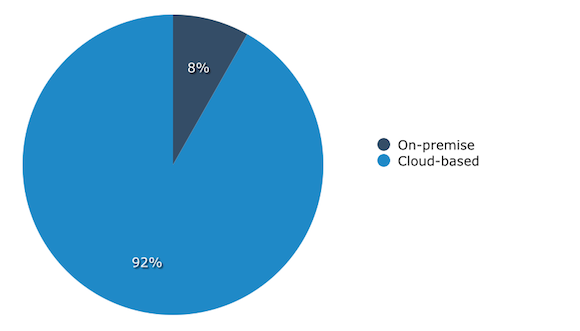 Just 8 percent of buyers specified that they wanted a system that was hosted on-premise, on the practice’s own servers. This finding echoes the results of other BuyerView reports in medical markets, such as practice management, where respondents were also primarily interested in Web-based systems. Since cloud-based systems require fewer up-front costs and are easier to implement and maintain, they are typically more appealing for smaller practices trying to save money. Amongst our sample, 31 percent of buyers were looking for software that would efficiently track patient assessments and treatment plans. In addition to the findings above, several important changes to government funding for mental-health care during 2014 will likely drive new mental health software purchases. In January, the ACA went into full effect, meaning that insurance companies can no longer deny coverage to persons with pre-existing mental illnesses. Additionally, the U.S. Department of Health and Human Services appropriated $50 million from the ACA for the expansion of services for people with mental illness and addiction on the community level. The ensuing increase in insurance coverage and funding likely means that more patients will be seeking care they previously couldn’t afford, resulting in increased patient loads. As a result of these and other government actions, we expect that a growing number of mental health practitioners will be looking to purchase and upgrade their software and will be looking for cloud-based, integrated suite systems with scheduling and patient tracking capabilities. The detailed methodology for this report can be found here. For help evaluating an upcoming EHR purchase, email gaby@softwareadvice.com.